New York, N.Y., July __, 2016 In commemoration of the 10th yahrzeit of Michael Levin on the seventh of Av (August 11, 2016), U.S. Supporters of The Lone Soldier Center in Memory of Michael Levin today announced its establishment as a United States-based 501(c)(3) charitable organization dedicated to the same mission as its sister organization in Israel, The Lone Soldier Center in Memory of Michael Levin. The Lone Soldier Center supports Lone Soldiers before, during and after their service in the Israel Defense Force (“IDF”). A publication ready article on Michael Levin and the U.S. and Israel Lone Soldier Center organizations established in his memory follows below. The Israel Defense Force’s (IDF) defines a “Lone Soldier” as someone serving in the Israeli military without the benefit of any local family support. Today, there are currently more than 6,300 Lone Soldiers serving in the IDF. Most are volunteers who came to Israel to join the IDF. Like Michael Levin before them. Michael grew up in a traditional, loving Jewish home near Philadelphia in Bucks County, Pennsylvania with his mom and dad, Harriet and Mark Levin, his older sister Elisa and his twin sister Dara. He was active in USY and attended Camp Ramah in the Poconos. In February of 2001, Michael went to Israel for two months and attended the Alexander Muss High School program. After graduating high school, he attended the NATIV USY yearlong program in Israel. In 2002, at just 19 years old, Michael immigrated to Israel and joined the IDF, becoming a Lone Soldier. 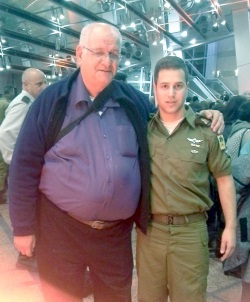 Michael volunteered to join the Paratroopers Brigade, an elite unit that forms part of the IDF’s Infantry Corps. Service in the Paratroopers is voluntary and is subject to an intense selection process that includes tests of physical fitness and leadership skills. Less than 20% of those who volunteer for the Brigade are accepted. Michael met the rigorous requirements and began an eight month training regimen that culminated in a 90 kilometer march in full gear, at the end of which he received his red beret signifying the end of his training and full admission to the active forces of the Paratrooper’s Brigade. In less than a year, Michael rose to the rank of First Sergeant, and planned on becoming an IDF career officer. On Tisha B’Av, Michael was laid to rest at Mount Herzl Cemetery. His family was joined by thousands of people from all over Israel who came to pay tribute to his memory and heroism. According to Josh Flaster, “The Lone Soldier Center in Memory of Michael Levin was founded in Israel in 2009 by Michael’s family and a group of his friends – including a number of former Lone Soldiers – who were inspired by his dream of building a center in Israel to address the physical and social needs and struggles of fellow Lone Soldiers. Flaster, a former Lone Soldier from the Phoenix area and a friend of Michael’s, initially volunteered at the Center and now serves as its National Director. The Lone Soldier Center in Memory of Michael Levin currently operates throughout Israel, with centers in Jerusalem, Tel Aviv and Kibbutz Gesher in northern Israel. The Lone Soldier Center in Memory of Michael Levin is dedicated to meeting all of the physical and social needs of Lone Soldiers. It provides pre-army counseling and walks the new olim – immigrants – through the induction process and prepares them for service in the IDF. Once that service begins, the Center provides Lone Soldiers with emotional support, emergency assistance and Shabbat meals. In commemoration of Michael’s 10th yahrzeit on the seventh of Av – August 11, 2016 – U.S. Supporters of The Lone Soldier Center in Memory of Michael Levin was established as a United States-based 501(c)(3) charitable organization dedicated to the same mission as its sister organization in Israel. Brian R. Lurie, President of U.S. Supporters of The Lone Soldier Center in Memory of Michael Levin, noted that “It is hard to imagine a greater manifestation of love for Israel than that exhibited by the young adults from the Diaspora who quickly transform from boys and girls to soldiers, by enlisting in the IDF.” Lurie’s son Avi is a current Lone Soldier, a sharpshooter in the Paratrooper Division who is about to start Commander training. The Lone Soldier Center is being awarded Israel's Ministry of Absorption's Prize for Excellence for the combined efforts of our staff and wide-base of volunteers who work tirelessly to assist new immigrants to the country. 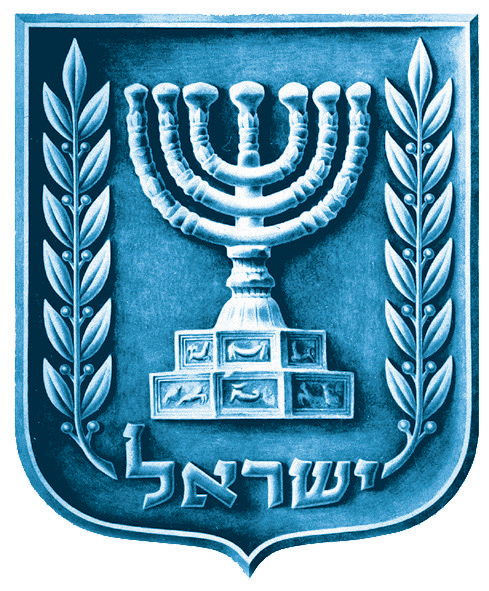 The ceremony will be held in Tel Aviv on March 24th. Thank you to all of our volunteers who work so hard on behalf of Israel's 6000+ lone soldiers. Itzik was awarded the IDF's Medal of Honor for his bravery and outstanding service this summer in Operation Protective Edge. Pictured are Tziki and Itzik at the prize award ceremony. We're so proud of you Itzik!